Brazil will harvest a record soybean crop of 121.4 million mt in 2018-19, 1.7% more than in the previous season, analysts at AgRural said Friday, as planting reaches its final stages. In a report issued in October, AgRural had projected 2018-19 production would be 120.3 million mt. Brazil is the world's largest soybean exporter and has seen an increase in demand this year after China imposed a 25% tariff on US soybeans as part of a trade war between the two countries. AgRural said it was now using fresh yield estimates for each Brazilian state, taking into account current crop conditions, in contrast to yield trend lines used in calculations through the last report. AgRural said the national yield should average 3,384 kg/mt, slightly below the record 3,396 kg/mt yield seen last season. The record crop is possible due to a 2.1% year-on-year increase in acreage, it said. 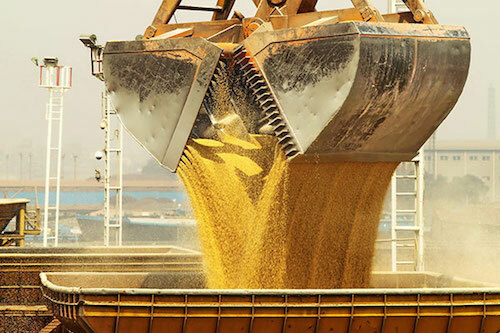 The analysts said Mato Grosso state, Brazil's largest grains producer, may reach a record average yield of 3,468 kg/mt, but the estimate has still to be confirmed. "It depends on weather conditions [including rainfall volumes] during December, when pods are developing, and during the harvest," AgRural said. In the rest of the country, a record pace for planting and good weather conditions is setting the stage for yields higher than currently projected, it said. Farmers had planted 93% of the total projected soybean area as of Thursday, AgRural said Friday. The pace remains the fastest on record. The amount of land planted rose 4 percentage points week on week. The current pace is just above that of a year ago, when 92% was planted, and a good ways ahead of the five-year average of 87%. AgRural said planting is finished in all three Center-West states, including Mato Grosso, and is close to completion in Parana state at 98%, the second largest producer in the country.